According to some information that I have read, FL Lenses was introduced around April of 1964, so these lenses are pretty old. 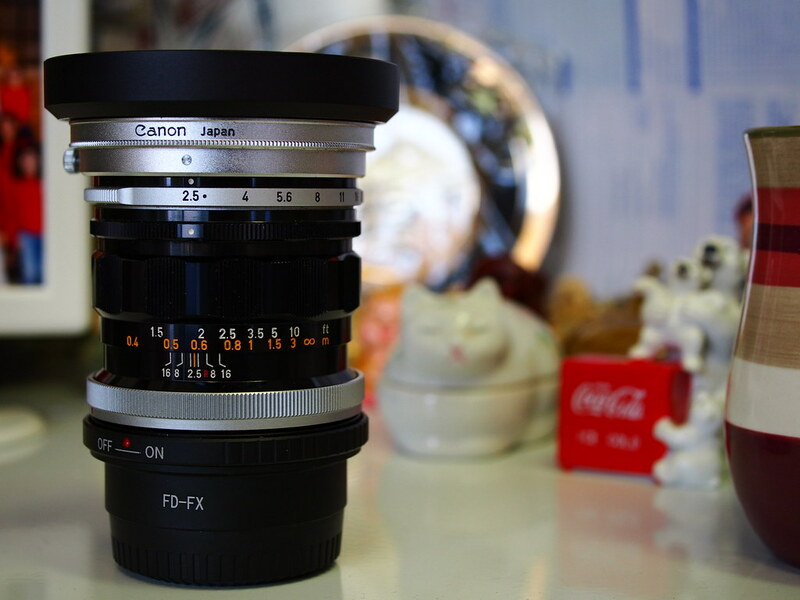 This FL 35mm F/2.5 is made of all metal, with a black body and silver breech lock and aperture ring. It has an aperture range of F/2.5 to F/16, the aperture ring is on the front of the lens not on the rear. 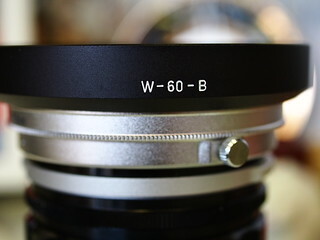 I was able to find the metal lens hood specifically designed for it, the W-60-B as shown on the picture below. When I first tested this with my Fujifilm X-E2, I had a little bit of trouble attaching it with my FD to X-mount adapter. This lens won’t easily mount on the adapter, it did, after I force it, but the problem is, the aperture ring won’t move or turn at all. It is also hard to detach it from the adapter if you force it. I thought I broke it, but luckily I didn’t. Most FD adapters out there doesn’t fit the FL 35mm F/2.5 lens by default. You have to do a bit of tinkering and remove the pin on the adapter. The problem with that is, if you remove the pin on the adapter you still won’t be able to turn the aperture like it should. But it will mount on the adapter easily. Overall I like the lens, as long as you know it’s weaknesses and capabilities, it can produced really nice images with a warm retro feel. I will post some photos on my full review of the lens. This entry was posted in Photography Gear Reviews.